2017 has been a bit of a down year for children’s animation. While “Despicable Me 3” dominated the box office, that was the only major release that did well with both critics and audiences’. 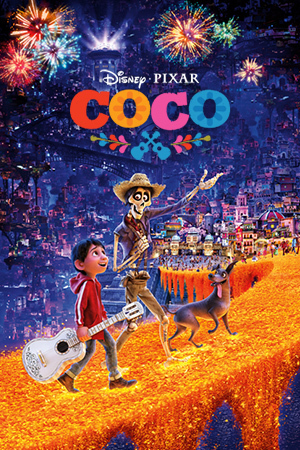 Of course, leave it to Pixar to make yet another classic that children would be enthralled with while adults can appreciate the story and animation with their newest film, “Coco.” This is a film that owes a lot to the work of Hayao Miyazaki, in particular “Spirited Away,” while still creating its own identity with a rich and deep understanding of the Mexican culture and mythology behind the day of the dead. “Coco” is easily Pixar’s best film since “Inside Out” and has their best visuals since “WALL-E,” offering the much needed breath of fresh air to animated films this year. The film follows the tale of little Miguel Rivera (Anthony Gonzalez), who is born into a family of shoemakers that despise music after his great great-grandfather left them all behind to share his music with the world. But Miguel adores music and wants nothing more than to be a musician, especially after he learns that his grandfather that left is the famous Mexican musician Ernesto de la Cruz (Benjamin Bratt). After an argument with his family ends with his guitar getting destroyed, Miguel runs away from his family and ends up in a place he never expected to be – the land of the dead. Miguel meets up with his passed relatives, who want nothing more than to get him back home, and a trickster named Hector (Gael Garcia Bernal) who just wants one last chance to go back to the land of the living to see his family. Due to the rules of the land of the dead, Miguel has until sunrise to get his families blessing or else he’ll be stuck there forever and turn into a skeleton, though Miguel is convinced that he must get the blessing of his great great-grandfather so that he can become a famous musician just like him. 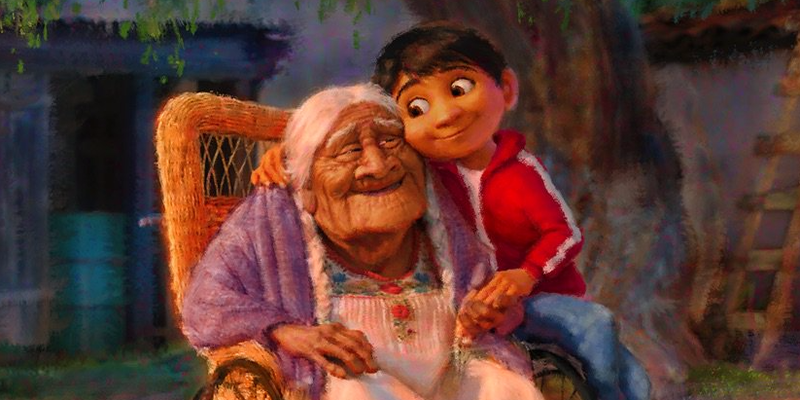 “Coco” has the most vibrant and insane color scheme I’ve ever seen in a movie. There are so many shots of the endless landscape of the land of the dead where it felt like Pixar invented new colors, especially with the bright neon aesthetic of the spirit animals and buildings stacked on top of other buildings. Combine this with some of the best animation Pixar has made up to this point, including the way each skeleton moves and the way every character expertly works the guitar like a real professional, and you get the most visually pleasing experience Pixar has ever made. I also adore the land of the dead in this film and how it operates. It has tiers and a class system based on how many people remember you in the real world, so of course the celebrities and stand-outs get better treatment than those who have been there for generations. Lots of little things like that and its symbiotic relationship with the real world make it a place that I cannot get enough of. 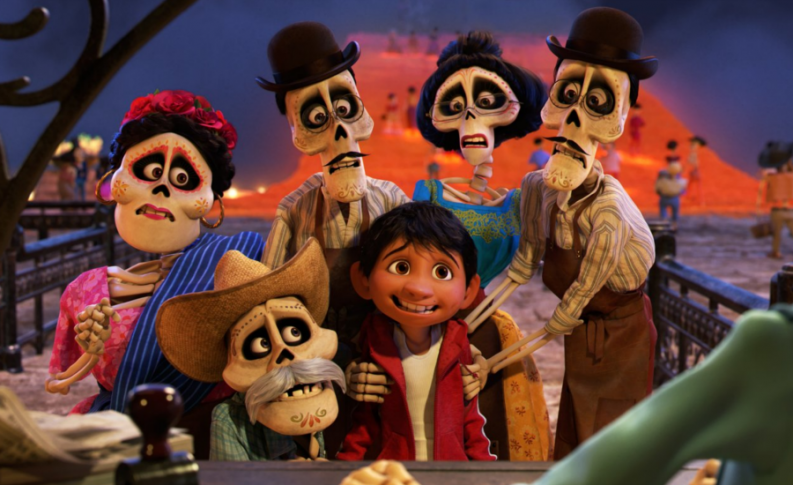 As I said earlier, “Coco” is filled to the brim with the Mexican culture, but it’s never to the point where it feels like the film is shoving it in our faces. After watching this film, I feel like I have a greater understanding and appreciation of the Mexican culture, as it shows a deep bond between the past and the present and how that affects your family. So I applaud “Coco” for taking an entire culture that a large portion of the world probably did not know or understand and making it look and sound wonderful. If there’s one complaint I had with the movie its that the final act feels a bit rushed and keeps having one climatic moment after another. I think the final message of the movie about family bonds and a respect to your heritage is important and well-put together, but everything leading up to that feels like its trying to be more action-oriented than it needed to be.